I have been involved in five major fights in my lifetime. My first fight, therefore, was when I was a WWII, rocket and cannon firing Beaufighter pilot, using every nerve and sinue to fight the tyranny of Nazis in the Balkans . 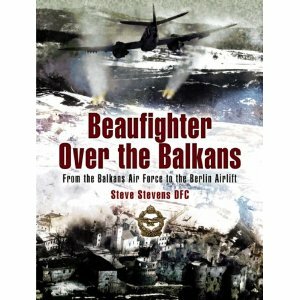 That’s the story of my first fight that I’ve told in my first autobiography ‘Beaufighter Over the Balkans’. Every time we took off on our slippery rolled out metal runway on the sandy seashore on the Italian Adriatic Coast to attempt to liberate the Balkan countries from the Nazi’s, we knew we would probably be shot down. Thousands of rounds of anti-aircraft shells were fired at us. We flew at such low levels that we were even hit by ordinary rifle fire. It was a small three inch thick piece of armoured glass less than twelve inches by twelve inches in front of my face in my Beaufighter cockpit that saved my head being blown off. We would see the brown puffs of exploded 40mm shells bursting around us and the black puffs of the very dangerous and deadly 88mm. Thank God none of them hit my Beaufighter, exploding in it. If one had, I’d not be here today. A fragment of one shell exploded under my Beaufighter. It penetrated its belly and imbedded itself in the thick leather sole of one of my flying boots. It jerked my foot off the rudder with tremendous force. My second fight led me into flying old war- weary Avro Ansons in an attempt to eradicate South Africa of the killer disease ‘Sleeping Sickness’ carried by the Tsetse fly, by air spraying the foliage, wild animals and creatures of Zululands game reserves. Had we not been so determined to destroy the dreaded and deadly Tsetse fly before we had suitable aircraft for low-level air-spraying in hilly country, we would have probably been too late to prevent that scourge of this deadly disease from wiping out the wild life in the game reserves: the Zulu’s beloved cattle and Zulu’s themselves. It was certainly worth the dangers of flying in such unsuitable planes in hilly country with those old Ansons. We finished off the work in the hills with the first helicopters ever brought into South Africa. Our other dangers were of snakes in our camp, Crocodiles and Leopards nearby and Rhinos in one of the game reserves. I was once charged by a Rhino. A tree saved me! That was my second fight to save lives. My third fight was in DC3 Dakota’s on the Berlin Air Lift ‘Cold War’ against Stalin’s determination to starve 2,500,000 West Berliners into submission. It was a miracle that we were, with such very unsuitable aircraft able to keep West Berliners fed and warm. It was a dangerous flying time for us. We were sometimes harassed by Stalin’s MIG fighters. We had the Atom Bomb which Stalin did not have at that time. This was probably what prevented WWIII from breaking out. A miracle indeed. My four page leaflet given out at the 50th Anniversary Celebrations in Berlin in 1999, which I called The Miracle Of The Berlin Airlift leaves no doubt that it was a miracle from God. My fourth fight, during the 1950’s , was to fly into one of the remotest regions of Africa: into the virtually inaccessible South Sudan close to the borders of mountainous Ethiopia. With Stuart King, my engineer and wireless operator we flew the one and only plane of Mission Aviation Fellowship in Africa, a twin engined, wood and fabric biplane airliner, the de Havilland Dragon Rapide. Our mission was to fly missionaries to where they were urgently needed to deliver medical and emergency aid to naked tribes people who then only had a life expectancy of around 25 years. Many of the small tribes had been almost wiped-out by earlier slave traders. MAF sometimes called ‘God’s Airline’ now operates 130 modern aircraft in 30 of the remotest countries on earth. My second fully-illustrated autobiography Early Wings Over Africa says it all. A film for television has just been produced of myself and some of my pioneering MAF flying colleagues of the early 1950s. Some of it has been re-enacted in a still flying old Rapide belonging to Air Atlantique Classic Flight based at Coventry airport. 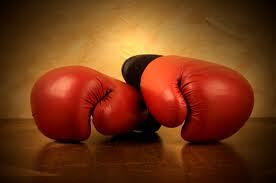 My fifth fight that far exceeds all the others, in terms of eternal significance. In 1971 I was part of a small group that included Mary Whitehouse, Malcolm Muggeridge and Lord Longford, who called the nation to repentance and a return to Christian morality and values. 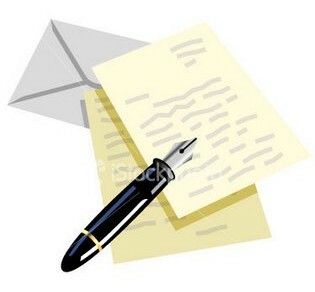 My third autobiography is entitled ‘Fighting for Love, Purity, and Family Life’. It is my personal account of the way masses of British people rallied to those key words in 1971 when the Nationwide Festival of Light was launched after Britain’s moral downfall after what has become known as ‘The Permissive Sixties’. What follows are my views and those of other concerned people: The moral and spiritual state of Britain has deteriorated with never slackening of pace. Twenty six years after the Festival of light, the Labour Party, in 1997 were swept into power with plans for building a New Britain. At the time, there seemed to be practically nothing of a revolutionary nature that Mr Blair might do by way of combating the values of the then exhausted and sleaze-ridden Conservative Party, and for which the British people would not have given him their full support. Yet the form this revolution took was not a demand for redressing the widening gap between the rich and poor, or with addressing the problems of a growing illiteracy amongst school children, or a breakdown in discipline in our schools, or a growing anarchy on our streets, or for strengthening marriage and family life – or even for transforming Britain into a thriving and productive economy. Instead it was the demand for drugs, alcohol, condoms, treatment for AIDs, HIV and a host of other STIs, as well as abortions for teenage girls – all free and confidential at the point of delivery . All this was paid for by the productive and stable part of society, namely families with a husband and wife, mother and father at their centre, and the voluntary aid of numerous Christian-based organisations. And when we view Britain, fourteen years later, what do we see? And finally we see society infantilised, feminised, stupefied, bedazzled and seduced by cutting edge technologies, the mass media; yet stripped of a moral compass and afraid to think, speak, choose or act according to their consciences, but forced instead to bow the knee to the diktats of individuals and government organisations who traitorously persecute Christians in Britain whilst heaping praise on competing minority groups that are determined to dominate Britain. In spite of the present Secretary of State for Work and Pensions, Iain Duncan Smith, saying that “the collapse of marriage has brought soaring crime rates, doubled the chances of living in poverty and cost the country an astonishing £100 billion a year..” . David Cameron, Teresa May and those within the inner circle of the coalition government have vowed to break down the barriers that once protected marriage and the family, and to ultimately destroy the very atom, building block of any society, the family, whose essential components are a husband and wife, mother and father, parents and children, nephews and nieces, cousins, grandparents and great grandparents, by allowing it to be appropriated, re-engineered and possibly discarded altogether. Our government has declared war on its own people. I have written to Her Majesty the Queen, appealing to her to follow in the footsteps of her Father King George VI who called for National Days of Prayer in times of crisis during WWII, Dunkirk: Battle of Britain and also in North Africa when all seemed lost at El Alamein. To refresh the Queen’s memory of those days I have sent Her Majesty a copy of my ‘Beaufighter’ book, having marked up the relevant ‘Prayer Day’ subheadings. The Coronation Oath that our Queen vowed to uphold, places a very heavy responsibility upon Her Majesty – as it did to the Monarchs of previous generations. I am convinced that by prayer and by reinstating the value of the Ten Commandments, Britain could once again become Great Britain. But perhaps it is too late. Ed footnote: It a sad testimony to the truth of Steve Stevens observations that a campaign has just been launched to identify and protect Britain’s estimated 100,000 war memorials bearing the names of those who died protecting our freedoms. It has been revealed that one of these bronze plaques is being reported stolen or dismantled every two days by thieves looking to sell metals for scrap. Meanwhile the home secretary, Theresa May, has ordered Muslims Against Crusades, an Islamist group which is planning to disrupt Friday’s Armistice Day ceremonies, be banned with immediate effect.